Details: Attendees choose four educational sessions out of 12 offerings, event includes a boxed lunch. Tickets: Go to mgfsc.org for online registration or call Brown Paper Tickets directly at (800) 838-3006 before the deadline of March 22. The tickets cost $65, or $60 for Master Gardener Foundation members. After enduring a winter that began innocently enough but has been pretty harsh in the past several weeks, we gardeners deserve a break. We also need a little inspiration and education so we can make the most of this year’s garden season. What better way to accomplish that than by attending the 10th annual Cabin Fever Gardening Symposium? This event – which is a fundraiser for the Spokane County Master Gardener program – will take place on March 30 at CenterPlace in Spokane Valley. Those attending can choose from a lineup of interesting and helpful classes geared specifically for gardeners in the Inland Northwest. Lunch is included as well. “Create Your Dream Garden with Roses and More!” – Carol Newcomb, owner of Northland Rosarium, will share photos of beautiful rose gardens from around the world and discuss how to incorporate roses and their complementary plants into a garden. “The Dirt on Good Soil” – Master Gardener and Master Composter/Recycler Laren Sunde will explain how to improve your soil to keep it healthy and productive. “Applying Permaculture to Your Landscape” – Beth Mort, owner of Zinnia Designs and Snapdragon Flower Farm, will teach the basics of permaculture to help you apply the concepts to your own landscape. 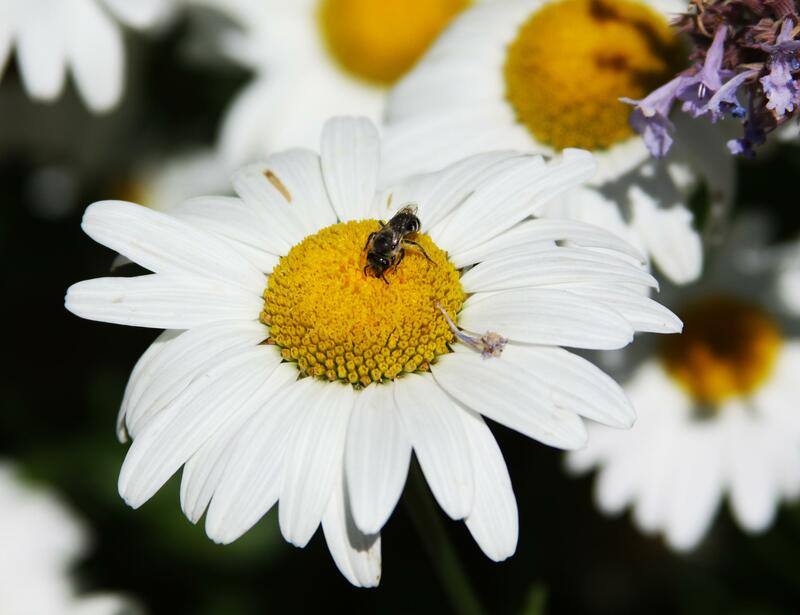 “Plants for Pollinators” – Spokesman-Review columnist and Master Gardener Pat Munts will discuss how to select plants that are appropriate for our region and where to plant them in order to attract pollinators to the garden. “Neighborly Wildlife” – Ken Bevis, a forest stewardship biologist, will take a fun approach to living in harmony with the wildlife in and around our gardens. “Vertical Vegetable Gardening” – Master Gardener Marilyn Lloyd will share tips on a method that provides vegetables with more sunlight while making it easier to water and harvest them. “Rabbits and Rodents and Deer, Oh My!” – Master Gardener Mark Stiltz discusses what he has learned about living peacefully with the critters that have a penchant for nibbling on plants. “Protecting Your Home and Landscape from the Next Wildfire” – Guy Gifford, Fire Prevention and Firewise Coordinator with the Washington Deptartment of Natural Resources, will explain fire zones that surround a home and suggest plants to choose or avoid when landscaping. “Trees and Shrubs: Beyond Planting” – Certified arborist Ben Kappen will share techniques for ensuring the success and longevity of the trees and shrubs in our landscapes. “Vermiculture: Earthworms for Compost and Gardens” – Jeff Wood, owner of Marle Worm Growers, will demystify what earthworms do for compost piles and gardens. “Drought Tolerant Plants for the Home Landscape” – Diane Stutzman, owner of Desert Jewels Nursery, will share how to use drought-adapted native plants to create a healthy and more sustainable landscape. “Propagation: It’s Easier Than You Think!” – Steven Nokes, Master Gardener and owner of six greenhouses, will explain how to propagate plants. In addition to the classes, there will be a raffle, door prizes and vendors selling books, succulents, garden art, vermiculture supplies, jewelry and more. Susan Mulvihill is co-author, with Pat Munts, of “Northwest Gardener’s Handbook.” Contact her at Susan@susansinthegarden.com. Watch this week’s “Everyone Can Grow A Garden” video at youtube.com/c/susansinthegarden.